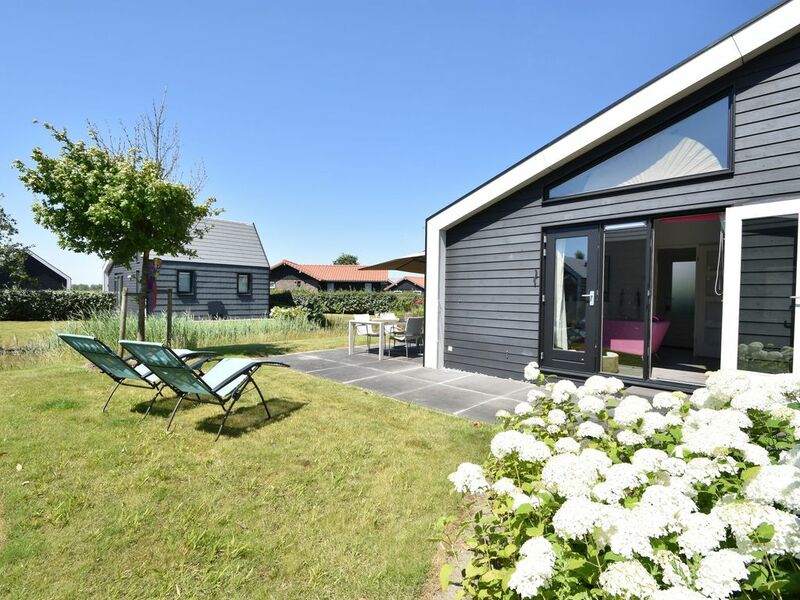 You'll find this cosy, comfortable holiday home in a small-scale holiday park in Kattendijke, in between fields and the Eastern Scheldt, adjacent to National Park Oosterschelde. A stunning setting for a wonderful holiday in this comfortable home! The owner of the holiday home furnished it with care. The modern, open kitchen is fully equipped. There's one bedroom with a comfortable double box-spring bed on the ground floor. Both single and double duvets are supplied. The modern bathroom is also on the ground floor. You can reach the mezzanine via an open staircase in the living room. The mezzanine is furnished with two single box-spring beds and it also features a nice playing area for the kids. The pleasant terrace with comfortable garden furniture is the perfect place to enjoy your first cup of coffee in the morning and in summer, you can sit outside until the wee hours and enjoy the fresh air of Zeeland province. You can make use of the beach chairs, beach shelter and toys, including a badminton set. Fun for all ages! Your holiday home is only ten minutes away from the town centre of Goes. It offers plenty of interesting shops and nice outdoor cafes. The lovely marina of Wemeldinge isn't far away either. The direct surroundings are perfect for long cycling tours and the Eastern Scheldt dikes are good for nice long walks. Walk down to restaurant 'Het Loze Vissertje' for example, and enjoy some fresh mussels. Water sports lovers can go diving and surfing in the area. The Omnium aqua park with swimming pools and various wellness facilities is also nearby. Book Cosy Oosterschelde for a wonderful, relaxing holiday experience! Wir waren 2 Wochen in Kattendijke und die Location in der Anlage hat uns sehr gut gefallen. Die Lage ist wunderschön und sehr ruhig. Das Haus liegt direkt an einem Naturschutzgebiet und man kann die Natur (Vogelwelt) richtig geniessen. Die Ausstattung ist für 2 Personen zweckmässig, die Küche ist sehr gut ausgestattet. Bei unserem Aufenthalt war es zu diesem Zeitraum sehr heiss (Hitzewelle mit fast 34 Grad) und ohne Klimaanlage wurde es im Galeriebereich schon ziemlich warm, aber zu zweit im unteren Teil absolut kein Problem. Die Ausseneinrichtung ist gut - wobei der künstliche Teich schon bisschen abfällt - aber sonst OK.